Barba Dermatology is happy to offer our patients Latisse®, the first and only FDA approved treatment used to grow eyelashes. Applied nightly with a simple applicator, Latisse® affects the growth, anagen, phase of the eyelash hair cycle, first by extending the duration of this growth stage, and then increasing the numbers of hairs that actually appear. 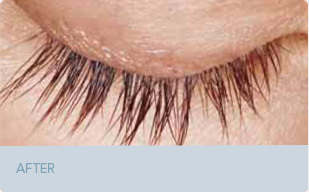 The result is longer, thicker, and fuller eyelashes that you will begin to see by 2 months after starting treatment. 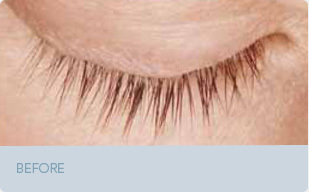 Latisse® is easy to apply. Once nightly, simply place one drop onto a provided applicator and draw the applicator across the skin of the upper eyelid at the base of the eyelashes, essentially where you would apply your eyeliner. Repeat this on the opposite eye and throw away the applicator. You can expect to enjoy the full results of Latisse® 4 months after your treatment starts, but improvements must be maintained with regular, continued use of the product. Once you stop applications, your eyelashes will return to their previous appearance over several weeks or months. Each kit includes on 3 ml or 5ml bottle and disposable applicators. Visit our skin care boutique today to discover our latest Latisse® promotions.